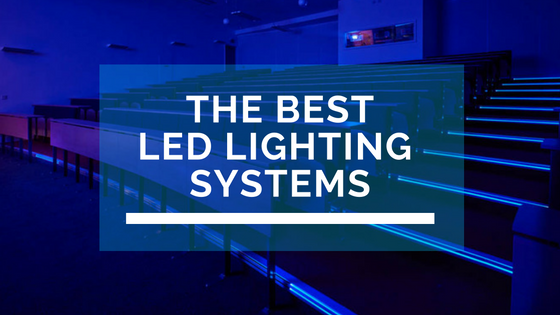 We’re often asked which LED lighting options are best? But, when looking for the “best” LED lighting, the correct answer can vary quite a bit depending on your specific installation. Here’s an overview of the different options available to you, so you can decide which is best for your project. First, you need to decide if you want LED strips or a coil or loom of lighting. Connectible strips of LED lights work well for smaller installations, like in stair nosings or a small transition. However, if you’re going to be using a transition strip in a larger area, it would probably be easier to use a coil or loom of lighting. With the coil or loom, you won’t need multiple connections and will probably be able to run the length of the transition in one piece. Make sure that the color, strength, and frequency of LED that you want are available in the product that you’re considering. These attributes vary between manufacturers, and knowing what you need or want will help determine what is best for your application. For instance, if you know that you want to use a red LED to highlight your area, but that color isn’t available through the source that you have found, keep looking. There are many different manufacturers out there, so you should be able to find just what you’re wanting for your project. How Much Does LED Lighting Cost? Choose wisely - the costs of using LED lighting aren’t cheap. The product is also more expensive than most typical transition strips or stair nosings, so only go this route if you can afford to get a high quality product that will give you your money’s worth on the investment. Plus, you may have to hire an installer and an electrician, depending on who you work with for the installation and the complexity of your project. Make sure to weigh your expenses before deciding on an LED profile.